TMD refers to temporomandibular joint disorder, it includes a number of problems that can occur to your jaw joint. 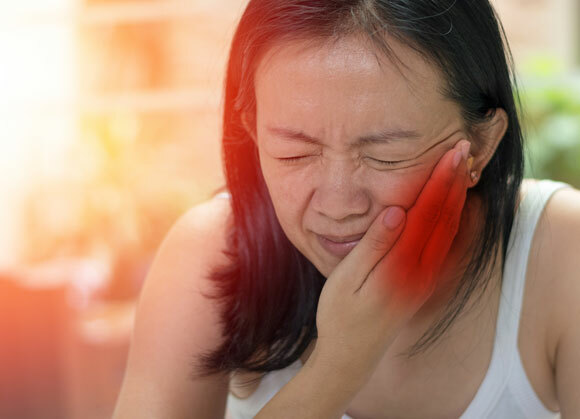 Your Temporomandibular Joint is the hinge that connects your jaw to your skull. It is one of the most complex and used joints in your body. You use it every time you eat, talk, yawn and move side to side. It is located just in front of your ears on both sides of your face. The TMJ consists of two bones as well as a cartilage disc and a few ligaments and muscles surrounding the joint. Problems with the TMJ are common. Sometimes, TMJ pain only involves the muscles; this is called myofascial pain dysfunction. When cartilage and ligaments are damaged, it is then referred to as internal derangement of Temporomandibular joint. Grinding or clenching your teeth, which puts a lot of pressure on your joint. Wrong bite, which locks your joint in a vulnerable position. Stress, which can cause you to tighten your facial and jaw muscles or grind your teeth. Jaw noise – clicking, cracking, crunching or popping. Pain and tenderness of your jaw- usually a dull ache around your ears, can travel down to your neck. Ringing in the ears blocked ears and decreased hearing. Keep in mind that some discomfort in the joint is common. For some types of TMD, many people’s joints get better without treatment. 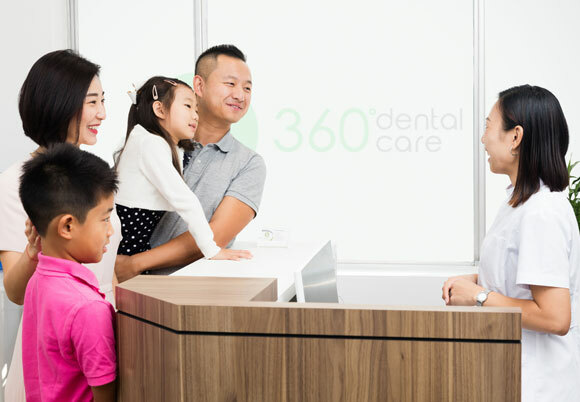 But if you endure severe pain for weeks and your chewing is affected, you should come to your 360 (degree) dentist for an investigation and treatment. Our TMJ treatment goal is to position your joint into the most relaxed position possible. To do this requires a few simple steps. First; we assess your current bite; second; we discover your ideal bite through a technique that suits you the most; third; we record your ideal bite; finally; we achieve your ideal bite with orthotic therapy. TMJ orthotic therapy requires you to wear an orthotic appliance during the day. This appliance is clear and shaped to your natural back teeth, it’s obtrusive even while you talk. By wearing the orthotic appliance, your jaw is repositioned to the most relaxed natural position. Your pain around your joints and face will reduce along with other symptoms that you experience with TMJ syndrome. Everybody responds differently to orthotic therapy, but the majority of our patients experience an improvement. At times, we also offer adjunctive therapy such as dry needle and trigger point injections. Our dentist has been specially trained in treating TMD so you can be sure you are in good hands.